Providing information, editorials and answering questions about skin care and skin care products from licensed esthetician Jill Jodar. "What is this thing doing again?" When I get a question like this a few times in the treatment room, I know it's time to write a post! I've decided to add some technology spotlights, along with the ingredient spotlight posts I've been doing in the past. This anti-bacterial hero has been around for some time, and with good reason! Technically speaking: High Frequency is an application of alternating current (also known as Tesla current) to the skin. Application of an electrode filled with argon gas kills bacteria by creating ozone on the surface of the skin. 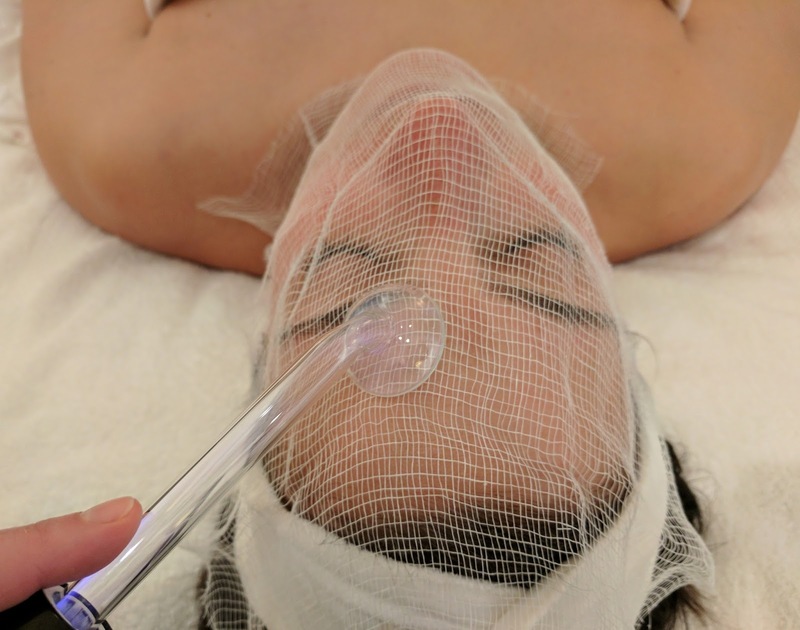 Using an electrode filled with neon will warm the skin surface, increase blood flow and assist in product penetration. Translation: This technology works great after extractions (usually over gauze) on a clogged or acne-prone skin to assist in neutralizing the bacteria that helps breakouts to thrive. It can also be beneficial to a sluggish or more mature skin that can use some increased blood flow and serum absorption. Bottom Line: A great way to boost the effectiveness of any facial treatment! I love high frequency because it's mostly sub-sensory (minimal sensation), although some do smell a bit of the ozone. It's fantastic post-extraction with skin appropriate serums. I also use it post-wax, with a custom-blended calming/spot treatment serum for those prone to breaking out after waxing. If there is a particular type of technology you'd like more information on? Email me at jill@jjodar.com or comment below! ©2015 Jill Jodar. Powered by Blogger.